Whether it’s time for a routine oil change or time to replace your brakes, the service department at Sunshine Kia of Miami can help your vehicle run in perfect shape. Keep your car running right by taking your vehicle in for service to Sunshine Kia of Miami. Our Miami service department is dedicated to keeping your vehicle road-ready. Our team of professional and skilled mechanics is experts when it comes to caring for Miami vehicles of any make or model. So, whether you need a quick oil change or more serious repairs done, our team at Sunshine Kia of Miami can help. If you are having small maintenance or repairs done, you can wait in the comfort of our waiting room with complimentary Wi-Fi. On the other hand, if the repairs your vehicle is receiving are more timely, we allow our customers to rent loaner cars or utilize our shuttle service. Not only do we care for your vehicle, but we also care for you. 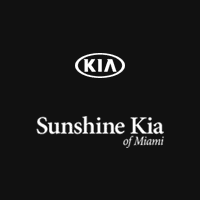 The Sunshine Kia of Miami service department is stocked with an inventory of genuine Kia parts, which we use as replacement parts on your vehicle. These parts, as well as the manufacturer-approved technology we use, are high quality and allow us to provide superior care for your car, truck, or SUV. It is our top priority to keep our drivers safe, so know that you can trust these genuine parts and our certified staff of mechanics. If you are in the Miami, Florida, area, keep your car road-ready by visiting the service department at Sunshine Kia. You can schedule an appointment with us via phone at 305-256-6410. You can also stop by our service garage at 17120 S Dixie Highway in Miami. Our garage is open from 7:30 a.m. to 6 p.m. Monday through Friday and 7:30 a.m. to 4 p.m. on Saturdays. 0 comment(s) so far on Service Your Kia with Sunshine!